What If the Olympics Stayed Put? A few radical ideas to reform the games. The Olympics are here, and I’m not sure how to feel about it. 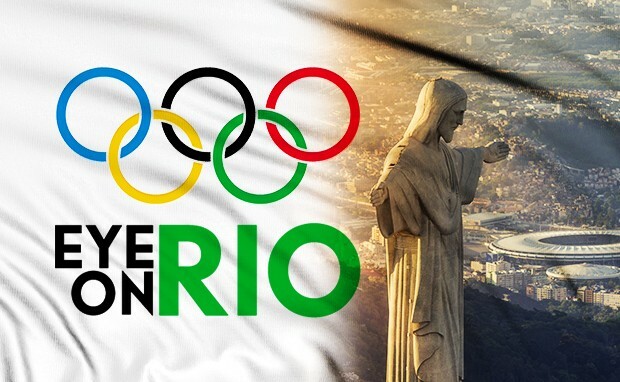 On the one hand, I’m thrilled that a South American city is hosting the Olympic Games for the first time. People around the world will have the opportunity to explore Rio de Janeiro’s many marvels. In an age of fear and loathing, the Parade of Nations and spectacle of countries competing peacefully is most welcome. Brazilians living through political and economic crisis may likewise appreciate the chance to revel in their country’s successes for a change. On the other hand, do such benefits justify the Brazilian government and private investors spending somewhere between $12 billion and $20 billion—roughly the gross domestic product of Iceland—to host the Summer Olympics? Do they justify Brazil having to lavishly outbid other countries for the games back in 2007-2008—when its leaders couldn’t have envisioned that the competition would occur while the country was struggling to cope with economic recession, a Zika epidemic, a colossal corruption scandal, and impeachment proceedings against the president? Do they justify shelling out all that money on an event that will probably generate only $4 or $5 billion in revenue? How about when the bankrupt Rio government can’t pay for security and other basic services, and when Olympic funds have largely gone toward the construction of stadiums, housing, and subway lines that will benefit the rich more than the poor? These troubles are not unique to Brazil. Despite exceptions such as the 1984 Olympics in Los Angeles and the 1992 Olympics in Barcelona, “in most cases the Olympics are a money-losing proposition for host cities,” the economists Robert Baade and Victor Matheson conclude in a 2016 paper. In recent years, many Olympic host cities have had to reckon with corruption, ballooning costs, underinvestment in public services in the run-up to the games, and projects that don’t help—and sometimes harm—much of the population. Once the festivities end, cities are frequently left with a load of debt and a bunch of useless megastructures. It’s no wonder then that, according to one recent poll, 63 percent of Brazilians believe hosting the Olympics will hurt their country. Given these realities, many of the governments jockeying to host the Olympics these days are autocratic. Since the leaders of Russia and China aren’t accountable to voters, they are free to spend as much as $50 billion on the competition. Meanwhile, in many democracies, support for hosting the Olympics is waning—especially amid concerns about economic stagnation and income inequality. Baade and Matheson propose several solutions to today’s predicament, including a pretty profound change: Why not designate a permanent home for the Olympic Games? In the late 19th century, the French intellectual Pierre de Coubertin revived the Olympics, which had lapsed in the fourth century when the Roman Emperor Theodosius banned “pagan cults.” Coubertin’s intention was to rotate the competition among European and American cities, in an effort to promote “peace” and an “international” spirit. Initially, things didn’t go to plan. As the first modern Olympic Games wound down in Athens in 1896, King George of Greece gave a speech in which he called for permanently stationing the event in his country. Athens, he said, could become the “peaceful meeting place of all nations.” The American delegation penned a letter of support. “The existence of the stadium as a structure so uniquely adapted to its purpose; the proved ability of Greece to competently administer the games; and above all, the fact that Greece is the original home of the Olympic Games; all these considerations force upon us the conviction that these games should never be removed from their native soil,” the athletes wrote. Coubertin wasn’t persuaded. “I decided to act as if I were stupid, pretending not to understand” the king’s speech, he recalled in his memoirs. The Greeks were overcome by “nationalistic fervour” and not being practical, he argued: “No one could seriously believe for a moment that Athens would be able to go on indefinitely every four years making the supreme effort required for the periodic renewal of the organisation and the financing.” Coubertin sent the king a letter, specifying that the second Olympics would be held in Paris. King George’s idea resurfaced in 1980, in the throes of the Cold War, as the United States planned a boycott of the Moscow Summer Olympics over the Soviet invasion of Afghanistan. The games, many argued, had become too politicized. The Olympic historian John Lucas proposed establishing a fixed “Olympic Games Center” for the summer contest—a United Nations of sport, housed in a neutral country like Switzerland or Finland—and a limited rotation of locations for the smaller winter event. The International Olympic Committee (IOC), which Coubertin had founded in the 1890s to administer the competitions, studied the feasibility of creating a perennial Summer Olympics site on Greece’s Peloponnese peninsula, where ancient Olympia once stood. The location, like the Vatican, would be granted neutral status, the Greek government would provide territory and infrastructure, and the IOC and its member states would fund construction. These days, ideas for ending the costly Olympics rotation take many forms. Some argue for choosing one host location. John Rennie Short, a professor of public policy at the University of Maryland, Baltimore County, suggests establishing a Summer Olympics city, and year-round convention and training center, on a sparsely inhabited Greek island. Greece could ease its debt crisis by selling land, while the IOC could cover upfront construction and operating costs with bonds or loans based on future media revenues. Others think the permanent host should be Los Angeles, which turned a profit on the 1984 Games in part by using existing facilities, or some Swiss city with the climate and geography to host both the Winter and Summer Olympics. With every change of venue, millions of staff-hours of know-how are lost. That’s not how most other major sporting events are organized. Professional golf tournaments return to the same courses year after year, allowing the staffs there to learn from their mistakes. Same with tennis: The groundskeepers at Wimbledon have had decades to practice pulling out the rain tarps and emptying out the parking lots. Yet the Olympics tries to reinvent the wheel every time, fielding a new team of planners, contractors, accountants, technicians, security personnel, and volunteers every four years, and expecting them to execute myriad complex logistical tasks perfectly the first time out. Alternatively, the Games could be based on Western soil but the hosting rights perhaps sold to a developing country at a heavily subsidised price. Some propose rotating the Olympics among several cities that recently hosted the Olympics—perhaps choosing five to represent the five interlocking rings of the Olympic symbol—or cycling them through one permanent venue on each continent. Paul Christesen, a professor of classics at Dartmouth College, has floated a more ambitious plan: Take advantage of modern technology to hold a “decentered” Olympic Games where different cities simultaneously host different athletic events. Athletes could be flown to opening and closing ceremonies in some Olympic Mecca: Lausanne, Switzerland, say, or Olympia, Greece. The approach could expand the universe of potential Olympic hosts, and cities could bid to host sports that are locally popular. Much has changed since Coubertin’s day, Christesen argues: An event doesn’t need to literally move from one nation to another to be international. Rather than being an occasion for nationalistic displays by a single, powerful host country, the Olympics would become a celebration of human diversity. Television audiences could tune into a track-and-field competition in Nairobi, a badminton match in Bangkok or a triathlon in Santiago. The sportswriter David Goldblatt adds a twist modeled on the World Cup: Disperse hosting duties to a “network of cities,” either within one country or among countries in the same region. “While no city in Africa outside of Cape Town has been able to make a serious bid for the games recently, perhaps a cooperative bid split between urban centers—such as across Abidjan, Accra, Lagos, and Douala—could succeed where others have failed,” he writes. These alternatives are far from perfect. No matter how much costs are defrayed by the IOC and others, can any one city really bear the burden of hosting an event as massive as the Olympics every four years? Is it reasonable to expect a city to serve as the permanent site of the games, but then relinquish the right to host it and get all the glory? “Decentering” the Olympic Games would at once make the competition more global by diversifying host countries and less global by not gathering athletes in one place. Nevertheless, the serious challenges Rio is confronting testify to the hazards of sticking with the status quo. As one opponent of Boston’s recent bid for the games put it, the fundamental problem with the current Olympics model is that cities are being asked to host the world’s most elaborate and complex event—and to do it only once. Yet the status quo may prevail. Promising proposals like these are unlikely to get serious consideration from the International Olympic Committee, which is reaping rewards from the current arrangement, even if most inhabitants of host cities are not. In 2014, IOC working groups proposed 40 ways to reform the Olympics. They include vague policies to “reduce the cost of bidding” for the games and “maximise synergies with Olympic Movement stakeholders,” but not to dramatically rethink the way hosting works. One hundred and twenty years after Pierre de Coubertin played dumb with King George, his act is still paying dividends—but only to a select few.